Ankle injuries, especially sprains, are common types of injuries. 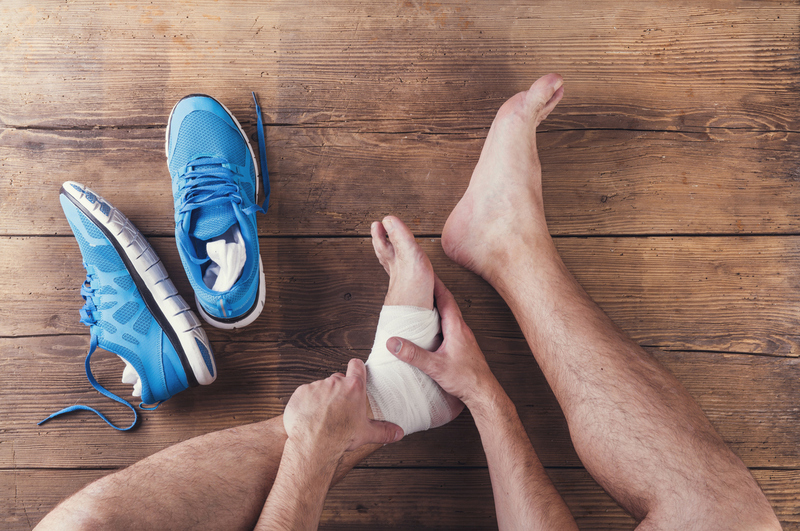 Ankle sprains are commonly experienced by athletes, although can happen to anyone. If you have experienced an ankle injury, turn to a physical therapist for help. A physical therapist can help show you ways to reduce pain, reestablish strength in the ankle, increase motion, maintain balance and create stability in the ankle to help avoid future injuries and return you to normal function. Enlisting the help of a physical therapist will help you return to your normal activities faster than you would otherwise. The length of time that it takes for you to heal will depend on the severity of your injuries. However, a physical therapist will tailor a program to you to help you recover faster and return you to the activities that you love. Your physical therapist will guide you toward a direction of healing that may include a combination of home remedies as well as exercises that he or she will recommend. The most important thing immediately after your injury, is to rest the ankle for the first 1-2 days. Apply ice packs every two hours for 15 minutes. Beyond this, you will want to stay active on the ankle as much as possible without causing further damage or pain. A physical therapist may guide you to use assistive walking devices such as crutches for balance and to avoid pain. He or she may encourage wrapping or a supportive brace to promote healing, support, and reduce swelling. If other testing is needed, a physical therapist will guide you accordingly. Physical therapy will focus on reducing pain, swelling and inflammation, improving range of motion, flexibility and strength, maintaining balance, speed your recovery time, and return you to normal activities. …if you have experienced an ankle injury, physical therapy can help. If a past ankle injury is still causing you issues, you may benefit from working with a physical therapist. He or she can help you on a program that will promote strength and stability in your ankle, thus preventing further injuries. Contact the team at Above and Beyond Physical Therapy to learn more about how physical therapy can help.